I think the title of this post might need a little explanation. I have what I would consider to be quite strange skin. My skin is dry and I believe usually dehydrated (I'm still not entirely clear on the distinction between the two) but yet despite being so dry my skin often flat out refuses to absorb the products I apply. You'd think it would drink them up, but no. 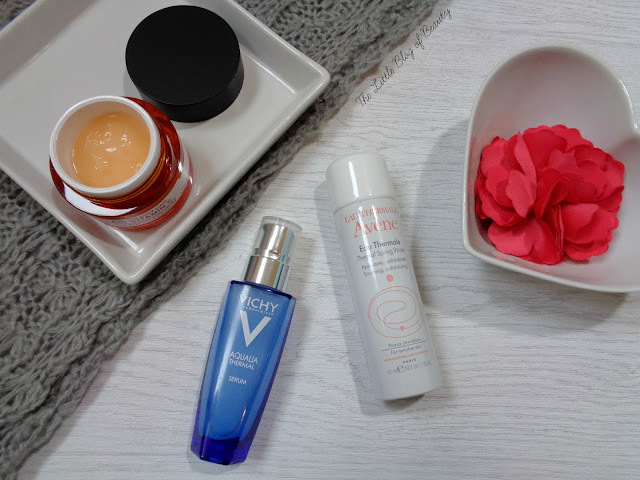 I'm sure I can't be the only person with this strange and rather irritating problem, so I thought I'd put together a post with some of my tips for dealing with dry but unthirsty skin. Discovering hydrating serums was a bit of a breakthrough for me. Serums are much lighter than moisturisers and whereas moisturiser is absorbed by the upper layers of the skin serums are absorbed down into the deeper layers of the skin, where your moisturiser can't reach. Serums are usually absorbed into the skin almost instantly, so adding one to your morning routine will hardly make a difference to the time it takes. In the summer when my skin is usually much less dry I can often get away with just applying a serum. However if my skin is being particularly difficult it can even have trouble absorbing serums if I use too much, so I start off with a small amount and then apply a little more over any area that I think need it. If you have dry or dehydrated skin applying a hydrating serum followed by a moisturiser is one of the best ways to go to ensure your skin stays as hydrated as possibly through the day. Back towards when I first started blogging I got a sample of Clinique's Moisture Surge free with a magazine and this was another little skincare breakthrough for me. I'd been struggling so much with my dry flaky skin and nothing seemed to be helping to relieve it. I'd never tried a lighter gel cream type moisturiser before and I discovered that my skin drank it up and for the first time in ages my skin was soft and smooth and flake free. I now know there's no point in me bothering with thick, heavy creams targeted towards dry skin because they'll mostly just sit on the surface of my skin and do nothing except leave it tacky and maybe even slightly oily looking. I guess because these types of moisturisers are much closer in consistency to serums it makes it much easier for my skin to absorb them. I've kind of already touched on this above but I've definitely found that the best way to go is to apply several light layers of product, either using the same product or different types of products. As I said slapping on a thick a layer of any product is just not going to work on my skin, it'll either just sit there or take forever to absorb. My morning routine currently includes using a serum followed by a light moisturiser (if I feel I need it) and my evening routine includes an oil followed by a moisturiser. If you don't want to use multiple products like I said you can just use one and apply a light layer and follow up with further light layers if you feel your skin needs it. Although the beauty industry indicates that we need to use a day cream in the morning and a night cream before going to bed if that's not suitable for your skin then ignore the invisible rule book. Night creams can be heavier and thicker than day creams, but if your skin isn't going to absorb it properly you'll just end up with most of it transferring to your pillow and hair every night. 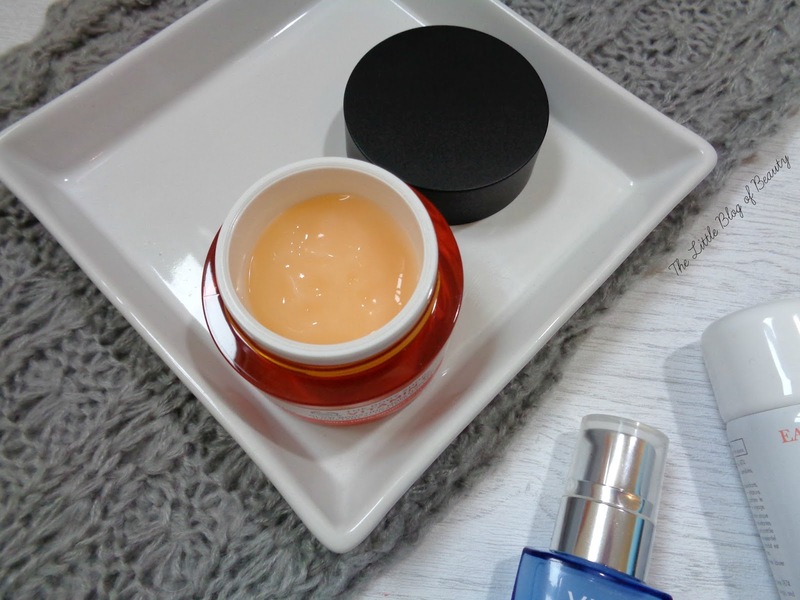 There are obviously some night creams that aren't quite as thick and heavy as others, maybe ones directed more towards normal skin, so it's all about trying out different ones to find which ones work for you. Just don't think you need to use a specific night cream. You probably know this one already but even though the directions for hydrating masks say to remove any excess after 10 to 15 minutes there's no reason why you can't leave them on for as long as possible, even overnight if you want to. If your skin does take a long time to absorb products like this then yes it might be a little sticky overnight but once a week or so you can tie your hair back out of the way or wash your hair/pillow the following day. Hydrating masks don't work amazingly well for me, they do usually take a long time to fully absorb, that's why I tend to leave them on overnight if I can. Although a cleanser is only on your face for a brief period of time it's still important to pick one that works with your skin type. I've always found that most cleansers and methods of cleansing can leave my skin at least a little stripped or even sore afterwards afterwards. In general any type of cleanser that foams will be stripping and so it's probably best to avoid them if you have dry or dehydrated skin. I tried the Ole Henriksen African red tea foaming cleanser and I thought everything was going fine until a few days into using it I realised my skin was so stripped I could see those little lines you get when your skin is more arid than a desert. I stopped using it immediately and it took a few days to try and get my skin back to a slightly more hydrated state. My favourite cleansers for removing makeup are oil cleansers and for my second cleanse (usually using my Magnitone cleansing brush) and morning cleanse I like to use a creamy cleanser. Before I tried oil cleansers I really didn't like the idea of it, why would I want to smear my make-up all round my face in an oily mess, but after trying them I haven't looked back. I'm not usually a fan of balm cleansers as although they do melt down to an oil I find them a little 'dry' at first and sometimes difficult to remove. I'm not keen on using a muslin cloth as I don't like that it then gets covered in make-up. For most of my life I used cream cleansers that you apply with a tissue or cotton pad to remove my make-up and whatever I used they would always leave my skin sore afterwards. 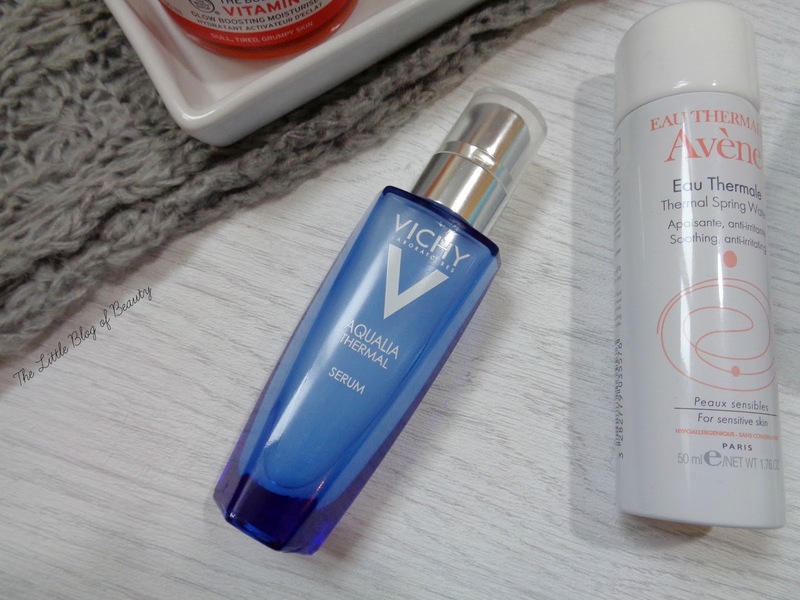 Discovering micellar waters was a breakthrough for me, for the first time I could remove my make-up without my skin becoming sore and irritated and discovering oils was even better. Creamy cleansers you use with water are the complete opposite for me though and in general leave my skin feeling soft and not at all sore or stripped. If your skin needs a little moisture boost during the day but it's not time to apply a moisturiser then a hydrating facial mist is perfect. You can apply them to bare skin or even over make-up, although if applying over make-up you'll want to make sure it has a fine mist so it doesn't disturb or make your make-up run. I particularly like to use them just after removing my make-up or after a shower as this is when my skin can feel a little tight and dry. They're also very refreshing in the summer if you're feeling a little hot and flustered. By far the easiest way to get more moisture into your skin is probably to water it from the inside out by making sure you're drinking enough water. I'm the worst for this because I actually don't like the taste of water (I know you're probably going to tell me it doesn't taste of anything!) and in general I've always just drunk when I'm thirsty. In the winter this means I can go the whole day and suddenly realise I haven't had a single drink. Last year I made the decision to start training myself to drink water after I started getting close to fainting a lot. As it's currently winter I'm not doing great at this but I am making sure I'm drinking regularly throughout the day and I now do drink water, but still hate the taste! Do you have difficult skin like me? Awesome post, these products sound right up my alley. I have such terrible skin so this post is perfect for me, I needed some tips and I love that you have given so many suggestions of products. I will be bookmarking this for next time I go shopping! Personally i just drink loads more water as i have super sensitive skin so it's really hard for me to find a product that wont make me break out in a gross rash! But i did see a few here which i may try out, like the serums! My skin is exactly as you describe here, but I find that gel/creams do the trick too! I also try to top up on moisturiser throughout the day, but I rarely think it helps haha.